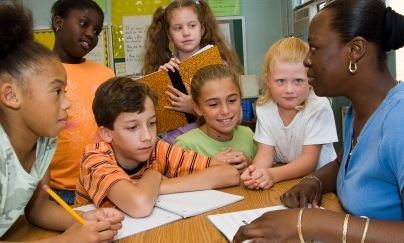 Can Character Education Lesson Plans Be Fun & Educational? Of Course! It's important to you that character education lesson plans are part of your child's early educational learning. Does the sound of those four words strung together, i.e., character and education and lesson and plans sound tedious, unexciting, like a lot of work, that you wonder if it's worth it? Can you hear your child mumbling: "Mom, this is boring, not fun, do I really have to do these character education lesson plans?" You can stop your fretting right now! My character education lessons are fun and educational at the same time. Warning: Action is required in these character education activities. I make specific instructions and your child's job (ugh) (assignment, sound better?) is to complete the task. Pretty simple. Let's get started with our character education lesson plans. The world received a great lesson in character education programs on Nov. 4, 2008. For the first time in US history, the US people elected an Afro-American man as President of the United States. Never before has this happened. It is a historical event of huge proportions. Your kids will ask someday, "Where were you mom, Nov. 4, 2008?" The character education lesson plans here are ideas based on the election, the campaign and the new President of the United States, Barack Obama. The first segment of these character education programs is geared for children 7 and older, possibly 8 and older. The Vision of this character education lesson is to Inspire Kids to Believe in Possibility. We will use character education activities and suggest a character education book or two. Week 1: Read 3 newspaper, online or magazine articles or watch 3 video clips that discuss the historical importance of Barack Obama being elected as the first US Afro-American President. (Don't forget to bookmark this site so you can return to complete your character education programs). You can use the articles from Week 1 if you want. That completes the first character education lesson. Here are additional character education resources for character education activities and character education plans. Imagine you're one of Barack Obama's daughters. How do you think the daughter of the new President feels? Do you think it would be hard going to a new school and learning how to make new friends? Do you have a dream of who you'd like to be when you are an adult? Is there someplace special you'd like to travel to or live when you're older? Or even now? Imagine you're Michelle Obama, wife of the new President. How would you feel being the new First Lady and living in the White House? What do you think your biggest challenge would be? What would be the most fun? Now, imagine you're the new President. What would your biggest challenge be? What would you like most about your new job? What might you not like about your new job? What would be the most fun thing you get to do? Do you feel inspired and empowered by Barack Obama's story? Have you begun to see that many possibilities are open to you? Remember, Mr. Obama's early life and how important a role his grandmother played in his life. She guided him with her love, patience, and persistence. She offered many character education lesson plans without calling them that. She helped him learn many of the important character education lessons that helped him become the exceptional man he is. If you need additional character education ideas you'll find excellent suggestions. art lessons in character education? With Childrens Educational Books, you have many choices and options for character education lesson plans! How Important Are Character Education Traits in Children's Lives? Ask President Elect Barack Obama! Do you possess or know about a great character trait that empowers kids to see possibility in life? Mr. Obama certainly knows his grandmother instilled in him empowering character education lessons. ATTN: I love providing free information, resources and products that are useful to you. To help the site grow in a way that you would like, I invite you to tell me your preferences in the boxes below. Thank you for your feedback. I really appreciate it! What is the the single best thing you found? What needs the most improvement? What would you like to know but isn't there at all? The information and art found on Character Education Lesson Plans is the property of Childrens Educational Books.